The LG V10, a new line of mega phones created by LG that seems to have caught our readers’ eyes, was first introduced through a press release on the last day of September without a firm launch time frame. Today, that changes, as AT&T and T-Mobile have both announced dates of availability. 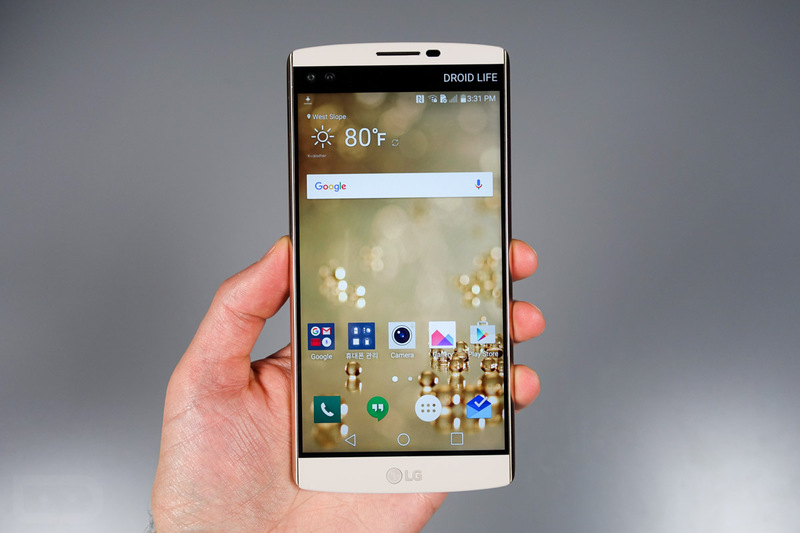 The LG V10 will be available tomorrow (October 27) from AT&T before arriving at T-Mobile’s online shop the following day, October 28. The V10 hits T-Mobile stores on October 30. In terms of pricing, AT&T will have the Space Black or Opal Blue colors available for $249 on a 2-year contract. If you choose one of their next plans, you can pay for the phone monthly as low $23.34 per month. For a limited time, they will also toss in a free 200GB micro SD card, because as you know, the V10 has an SD card slot. On the 28th, when T-Mobile makes the phone available, you can grab the V10 for as little as $0 upfront with $25 per month payments if you join their JUMP! On Demand program. That puts the total payments for the phone at $599, which T-Mobile says is $100 off MSRP. As a recap, the LG V10 is a flagship level phone that I described as having lots of “things.” Some took that as me swiping at the V10, but in reality, this phone is filled with all sorts of things. It has dual front facing cameras, a dual display setup, Dura Guards and Dura Shields, and QHDs, etc. Overall, though, in the roughly week+ I spent with the phone before Nexus season hit, I was quite surprised at how much I liked it. We’ll fully review it soon, but I can tell you now that this is a quality phone and probably LG’s best feeling in terms of quality in a long, long time.